Shopbop serves a unique audience of consumers who want more than fast-fashion but don’t want to splurge on luxury retail. It revamped its website last year with a focus on enhancing customer engagement through daily editorial content, personalized for unique buyer personas. The result left an impression on Shopbop’s audience, netting an increase in site traffic. The brand works to personalize from the start by acquiring customer data through an onsite quiz-like experience (i.e. “What are you looking for?”) and offering content-based curated product creative (i.e. “The Want List”). Time-based lifecycle discounts drive urgency. All tactics work in tandem so Shopbop can narrow down the items that a customer will like in its endless inventory. The app offers well-timed push notifications with messaging to stay engaged with customers. Shopbop boasts a well-designed app that customers love, in part because it’s so personalized. 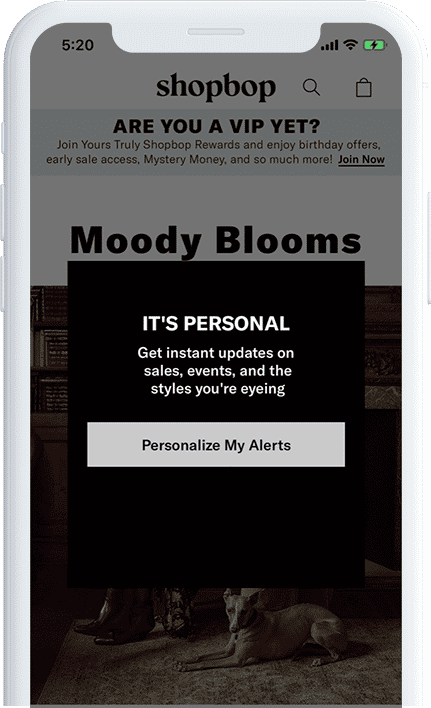 Online shopping carts are integrated and there are also well-timed push notifications triggered by a shopper’s behavior… that Shopbop won’t send unless the shopper specifically wants them. With such a volume of inventory, Shopbop’s website can be overwhelming. However, the brand categorizes product verticals and curates recommendations within each one. “Our Must Haves” lets customers know what the most popular best-sellers are. 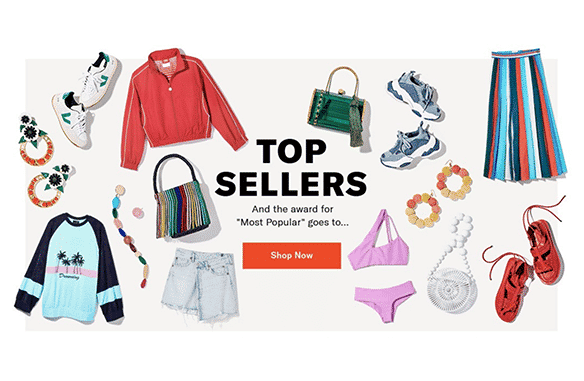 “The Want List” is another example of this curated approach, but one that is far more editorial -- and it’s just one example of how the brand uses content on the site to drive commerce. Where so many retailers struggle to produce content at scale, this editorial-style layout could and should serve as inspiration for both retailers and consumers. Some retailers see that you’re browsing a pair of pants and recommend similar items. 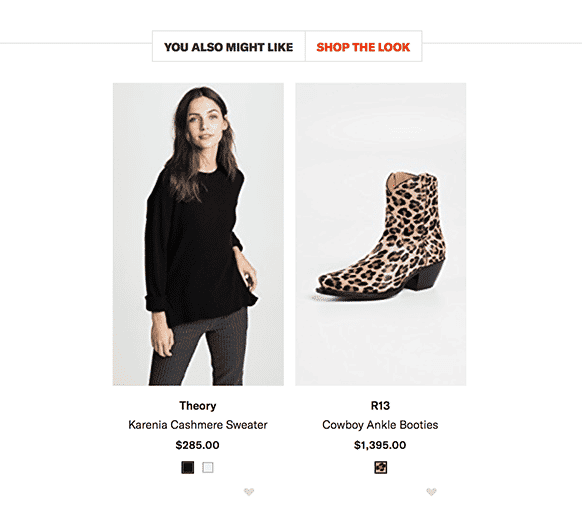 Instead, Shopbop makes recommendations more focused on what other items would complement those pants, inviting customers to “Shop the Look.” Shopbop could take this to the next level with user-generated content. The retailer has more than 2 million Facebook followers; showing customers how they styled items could work as a powerful upselling tool.